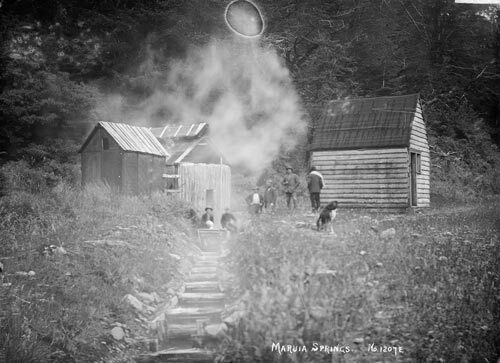 A group of warm thermal springs in the upper Maruia valley has long been an attraction to travellers and local bathers. Some of the earliest bathhouses are shown here, around 1910. The Lewis Pass road was not opened until the 1930s, so at this time the area would have been isolated.